On Thursday, November 22, 2018, our Mercator Fellow Marie-Aude Baronian spoke about “The Cinematic Life of Material Objects.” The public talk commenced at 6 p.m. (c.t.) in Room 7.214 of the IG-Farben Building. If the entire history of moving images can be seen as defined by the displaying of objects — one that relies on them, represents them, or simply animates them — it can also be approached through thinking about the material objects themselves. This talk reflects upon the ability of “common,” everyday objects to transform into extraordinary cinematic objects, especially when it comes to histories and stories that have largely remained implicit, unknown, invisible, or forgotten. Specifically, it will focus on the case of early American cinema celebrity and actress Aurora Mardiganian, from the silent film Auction of Souls (O. Apfel, 1919), and particularly on the suitcase she traveled with during the touring of the film (fig. 1) — an object which was recently recovered and preserved. The multifaceted meanings of this accessory provide a window into the cinematic journey of Mardiganian in both the American film industry and in the Armenian imaginary. 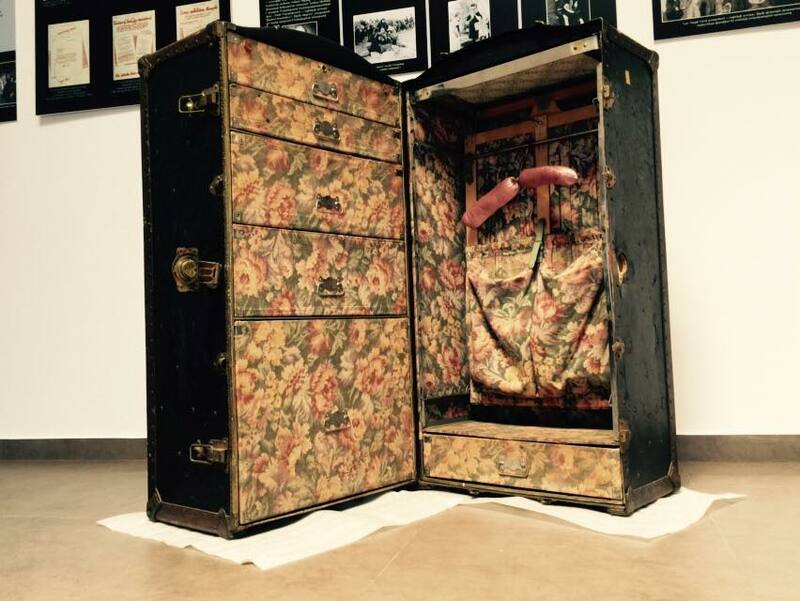 The traveling suitcase will also be considered as the connecting and connective thread for further unraveling other cinematic theories and practices such as the “material language of objects” (Deleuze) in relation to the world of filmmaker and visual artist Sergei Paradjanov (1924-1990), as well as to the recurrent motif of the suitcase in the work of Atom Egoyan. 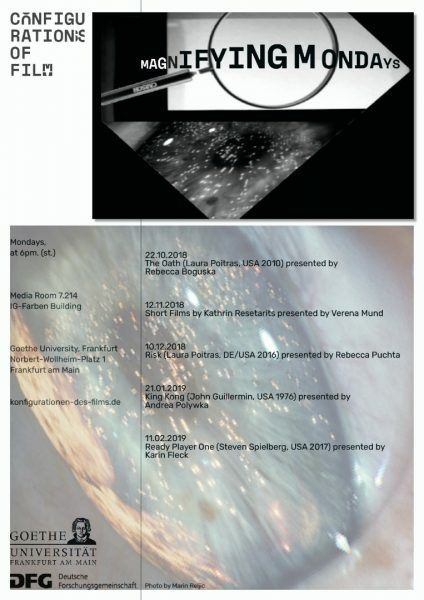 Overall, the talk will suggest that looking closely at the material objects themselves offers alternative gates and methodological frameworks as well as mobile configurations through which one can navigate between plural approaches to cinema. Ultimately, the aim is to propose a “cinematic objectology” through which cinema (and its various media and modes) can be understood through its inherent features of materiality, memory, and mobility. Fig 1 : Photo by the Armenian Genocide Museum-Institute (July 14, 2015). 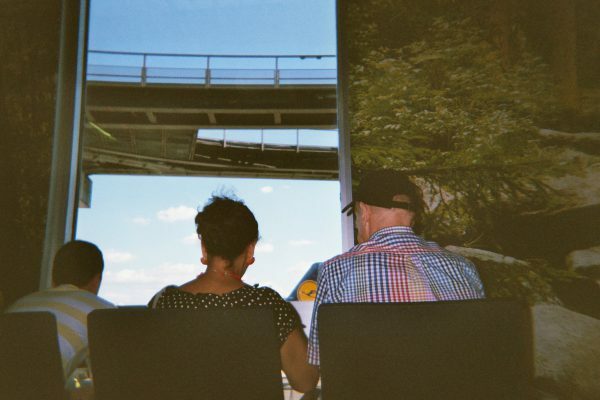 The Kolleg is joined by Anna McCarthy (NYU Tisch) and Norman M. Klein (CalArts) in partaking a field trip to Frankfurt airport.